Café Swiss is an award winning 24x7 multi cuisine all day dining concept, caters to the local and international clientele and is specialized in Swiss inspired European cuisine and all time favorite Indian dishes; which are created with authentic, regional and seasonal produces cuisine with an interactive kitchen, modern, contemporary décor, located at Rajarhat New Town. Always busy with full of innovative activities to create a buzz in the city. Café Swiss offer A La Carte & Buffet all the day for the major meal. 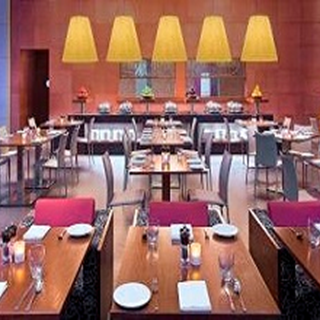 Sunday Brunch offers an extensive selection of food and beverages. Enjoy and immerse in our infinity pool when you are availing our chef’s crafted thematic brunch on Sundays. Large array of great food -- local and international. The staff is what makes the real difference. They are a team of exceptional people that provide personalized attention and care. 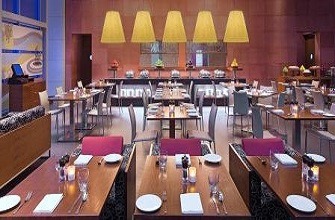 The restaurants offer a variety of delicious dishes and are very accommodating. I want to make spl mention of Mr Ananta (Chef) and Mr. Prashant Tiwari for their Hospitality at Swiss Cafe. Fantastic staff, friendly and efficient. Makes our stay here always memorable. I spoke with the chef on the morning of my breakfast and highlighted many of the things that were wrong. Cold coffee, no spoons to eat from jars, stale bread, no butter, no plates, toast machine which burnt the bread. Pointed out one quest who was eating from a jar with a knife, another quest left most of their food on the plate, another ordered a different coffee as the one he had was cold. Not many other guests. Overall not a very pleasant experience and badly set up breakfast buffet. Good atmosphere. Taste of food is to be improved. Wonderful staff. Brijesh made the difference. Very courteous and obliging. Will visit again. A very nice place to stay for your breakfast, lunch and or dinner. The service is very kindly, the menu diverse. Reccommend it. I live in the Netherlands, travel frequently and see this restaurant as ons of my favorites. Incredible n impeccable hospitality n service.. loved my stay at swissotel.. team swissotel were super efficient and ensured our comfort n privacy..
Good food in a nice relaxing environment. We had ordered a Pizza. It was not to our expectations and was not served piping hot as it should be. However staff did apologized for it and informed chef. Service is below par in cafe swiss yesterday. no one of staff were taking proper care of guest. Inclusions of brunch is neither told nor offered. maximum times no staffs are available for service. Earlier brunch was very good and proper attention was given to guest but yesterday it was horrible. My friends whom i have taken with me are also very disappointed and make a laugh on my choice. My self is Sameer Sharma not Mr S Das as mentioned in your records. Kindly improve or the guest have many options. I am a Purovel Member also so more concerned for such a bad service.